Low corporate taxes and incorporation costs combine to make Lithuania company registration an attractive option for entrepreneurs conducting businesses within Europe and internationally. Lithuania is the largest of the Baltic States, and has a stable political and economic environment. 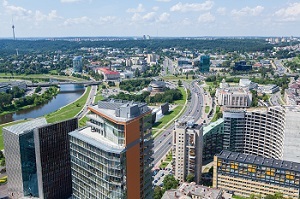 Lithuanian companies incorporated in the free economic zones are entitled to enjoy from the exclusive economic, legal and strategic incentives provided in these zones. These companies benefit through their i) access to the dynamic East European and Asian consumer markets; ii) full-exemption on dividends and real estate taxes; and iii) full exemption on corporate taxation during the first 6-years of their operation. Businesses in Lithuania are prone to suffer from bribery and extortion largely due to the prevalence of red tapes and inefficient bureaucratic system in the country. This has an impact in the overall incorporation and functioning of small and medium enterprises (SMEs) in Lithuania by i) delaying the public service facilities and ii) undermining the presence of a free and fair competitive economy due to the prevalence of its shadow economy. To help us engineer the optimum Lithuania corporate structure, please complete the 3-minute questionnaire below; then press the submit button below. What is the minimum share capital for registering a Lithuanian company? An investment of at least €2,500 is required to register a company in Lithuania. This was reduced from the equivalent of €2,900 upon Lithuania’s adoption of the Euro in January 2015. While this applies to the private limited company (UAB) structure, €40,000 is required to register an AB public limited company. Only 25% of the share capital contribution needs to be fully-paid-up at incorporation, but investors will be liable for the full amount in the event that the company requires it. What kind of company should I register to do business in Lithuania? Healy Consultants recommends registering a Lithuanian UAB for most of our Clients. However, your needs may vary with your business and we can work to register a Lithuanian AB or branch. For more information on the types of business entities available in Lithuania, visit this page. Can I register a company in Lithuania using documents written in English? No. Although you may draft your documents in English, these must all be translated into Lithuanian by a certified translator. The Lithuanian versions of the documents are then submitted to the companies registry and are treated as the official version of the documents. How long does it take to register a business in Lithuania? Lithuanian company registration takes three days once submitted to the companies registry. However, Healy Consultants has found that the process takes three weeks in order to collect and translate all of the necessary documents for submission to the registrar.